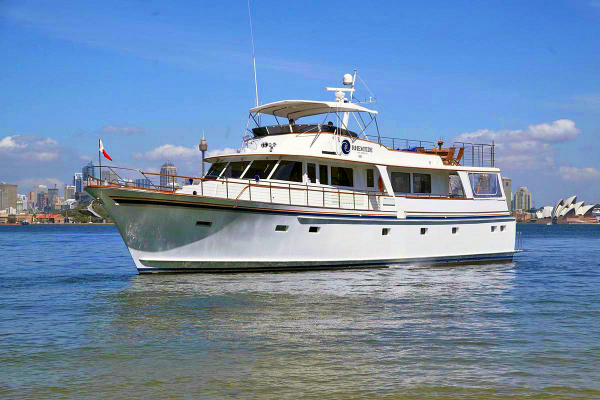 She boasts an enormous amount of room across three levels with full walk around decks, huge upper entertaining deck and the latest audio-visual equipment. 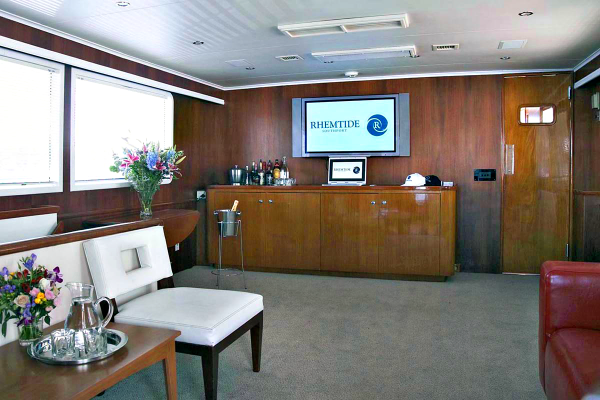 Rhemtide is most suited for corporate charters or private birthday cruises and boasts a star studded line up of world famous clients. 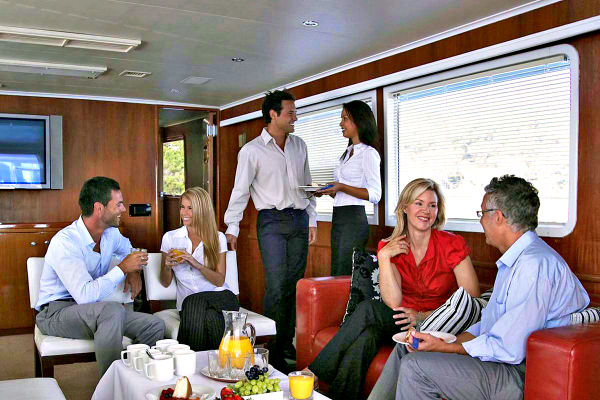 Her many entertainment areas will surprise you and your guests and is the perfect environment to have a corporate team building charter or meeting. 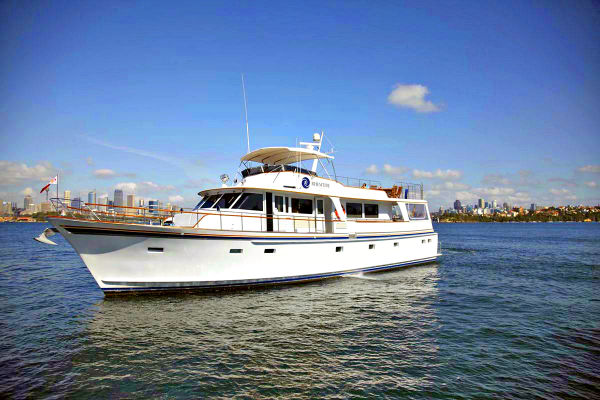 With a star studded history in the USA where Rhemtide entertained visits from the Kennedys and Jacqueline Onassis. 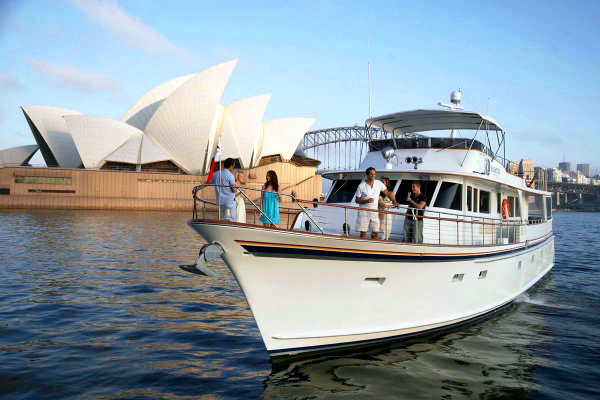 The likes of Peace Prize Laureate and former Russian President Mikhail Gorbachev, musical celebrities Kanye West, Jay-Z, Cher, the late Luciano Pavarotti and Gloria Estefan have also graced her decks. 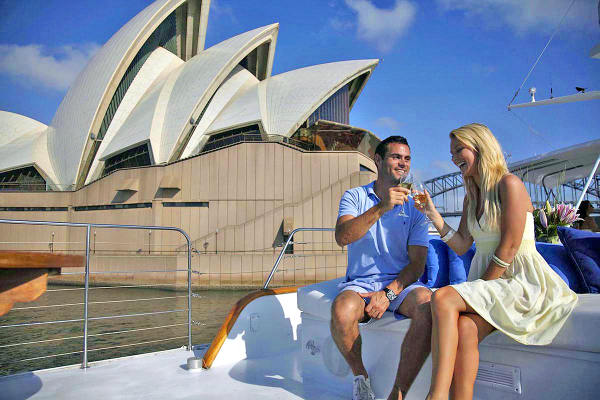 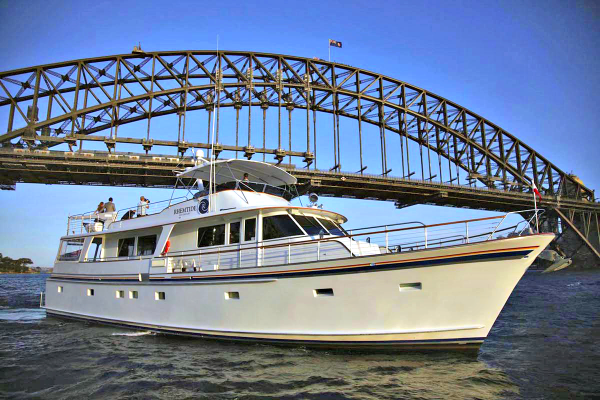 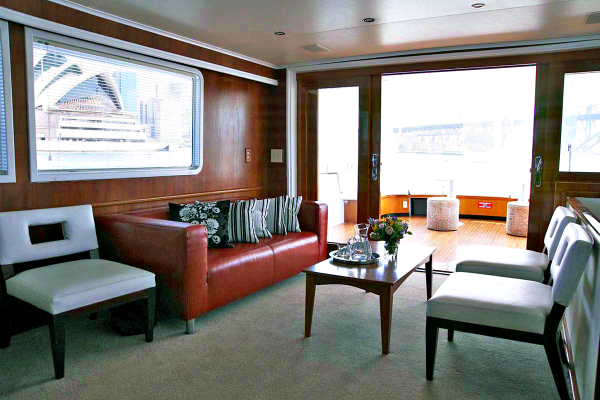 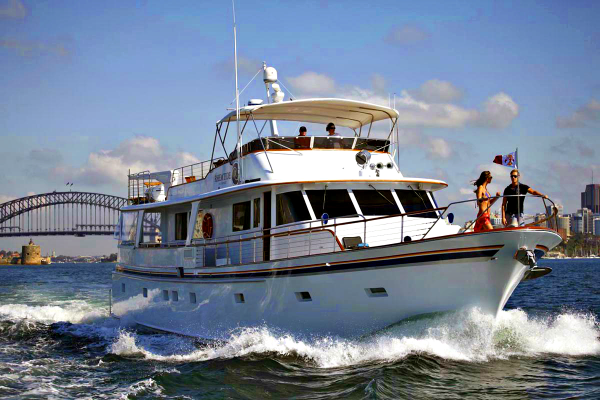 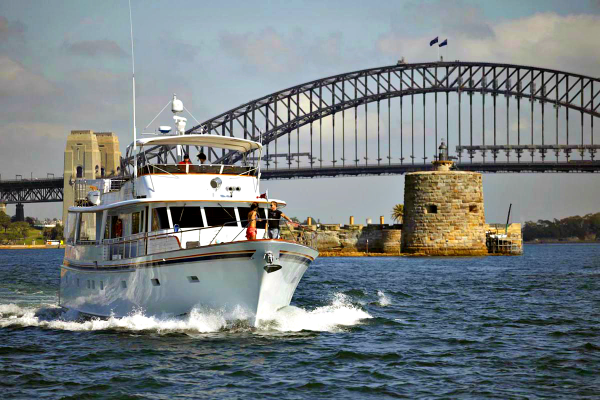 A very popular choice for a luxury boat, this beautiful vessel is now in Sydney to boast its luxurious presence. 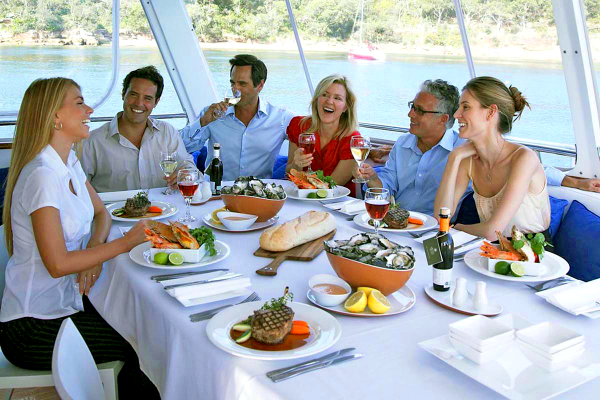 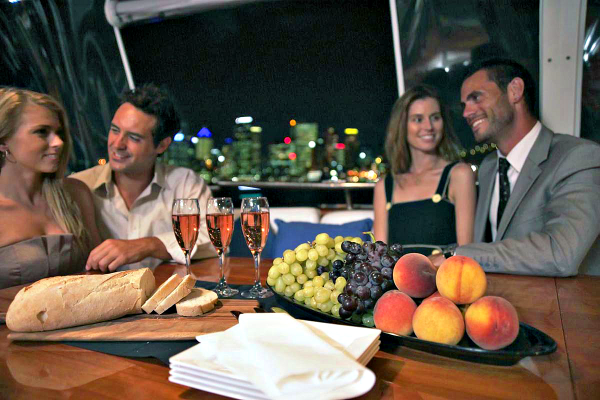 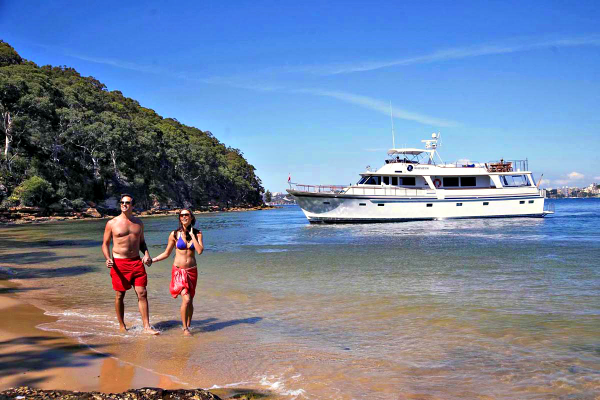 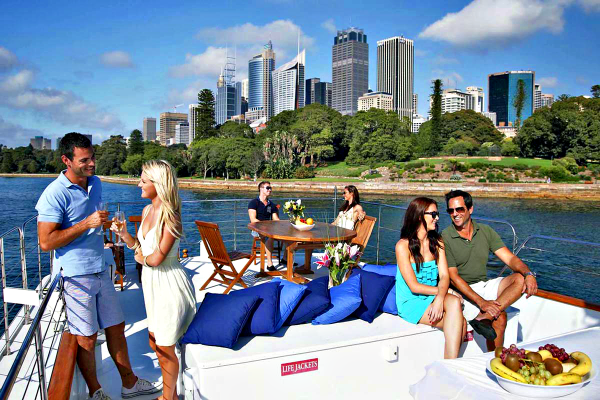 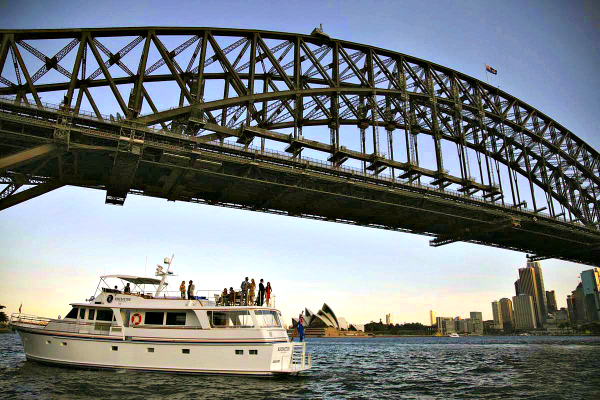 Pick up and drop off wharf fees apply – A $50 wharf fee applies to all bookings.